For all who want to filter larger amounts of water for drinking and cooking, an under-sink water filter system is a good choice. Additional reasons to choose such a filtration unit might be longer lasting filters, more efficient filtering and a clutter free counter top. The WaterChef® U9000 reduces many contaminants common in tab water nowadays. 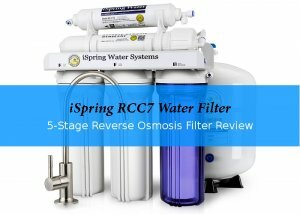 Contrary to a reverse osmosis systems it leaves minerals such as calcium, magnesium and potassium in the water. This is not only healthy as our bodies need the minerals, but also increases the taste of the water. The long lasting filter cartridge holds a 3-ply pleated pre-filter and a carbon block. A capacity of 1,000 gallon in combination with a smart monitor that measures actual system usage results in low cost per gallon. The Big Block™ filtration technology and the Intelligent Monitor™ system are unique to WaterChef products which are all designed and assembled in the USA. A lot of thought went into detail to create a durable and good looking system that does the job of filtering water for a long time. 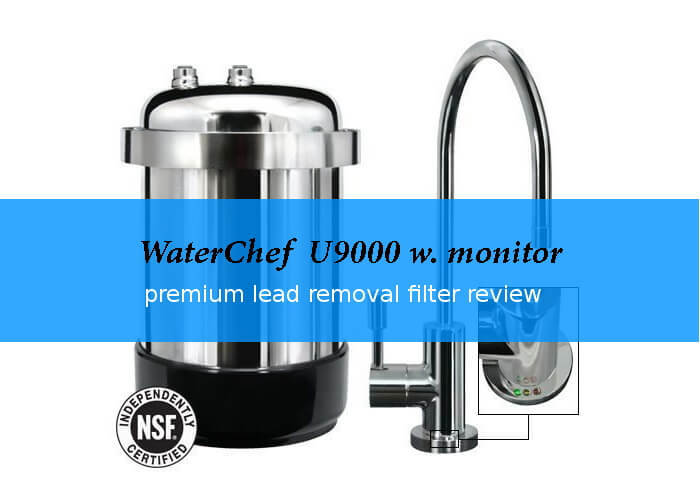 Using quick connect fitting, BPA free materials and surgical steel are just some of the minor but important differences that set the WaterChef U9000 Premium apart from lower prices systems like i.e the Pentek US 1500 which also features a monitor. The system is tested and certified by NSF/ANSI Standards 42 & 53 and reduces chlorine, chloramines, MTBE, lead, cysts and a lot of other contaminants. 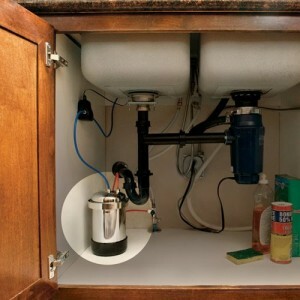 Although this system is designed to sit out of sight under your sink, the polished stainless steel filter housing looks kind of stylish and durable. 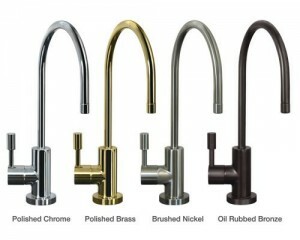 The designer faucet that comes with the system is available in four different finishes and the brass construction and ceramic disc valve is also NSF Standard 61 compliant. This is important as the faucet is an integral part of the system holding the led lights that indicate the state of your filter. As soon as the green light changes to yellow it is time to order a replacement cartridge to have it on hand once the red light indicates a filter change is necessary. Connecting your refrigerator to the filter is possible with the separately sold refrigerator kit. This gives you the opportunity to enjoy great tasting cold water from your fridge as well. Quality materials for a long lasting product. Only one cartridge change per year on average necessary. Initial price is quite high. 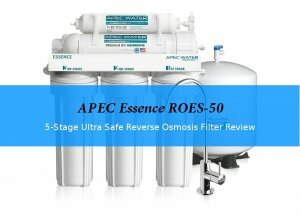 Does the WaterChef U9000 filter out Fluoride? The WaterChef U9000 is not tested for fluoride removal. To actively reduce fluoride, a filter element should contain activated alumina. 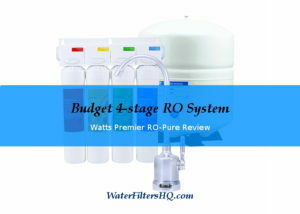 WaterChef filters are no budget items. The WaterChef U9000 will set you back nearly $400. For this amount of money, you could also buy a reverse osmosis system. On the other hand, this filter is a lot easier to maintain and cheaper in the long run. Just one filter to change. The average price of the WaterChef UR90 replacement cartridge is around $65. If you replace it after 1,000 gallons the price per gallon is $0,065. You may be able to find replacement cartridges for less on Amazon. The system comes with a faucet (available in 4 different finishes), filter housing, filter cartridge, battery for the Intelligent Monitor™ integrated in the faucet.